Host a simple & fuss free Tuscan Inspired Sunday Dinner at home with my quick and easy tips. 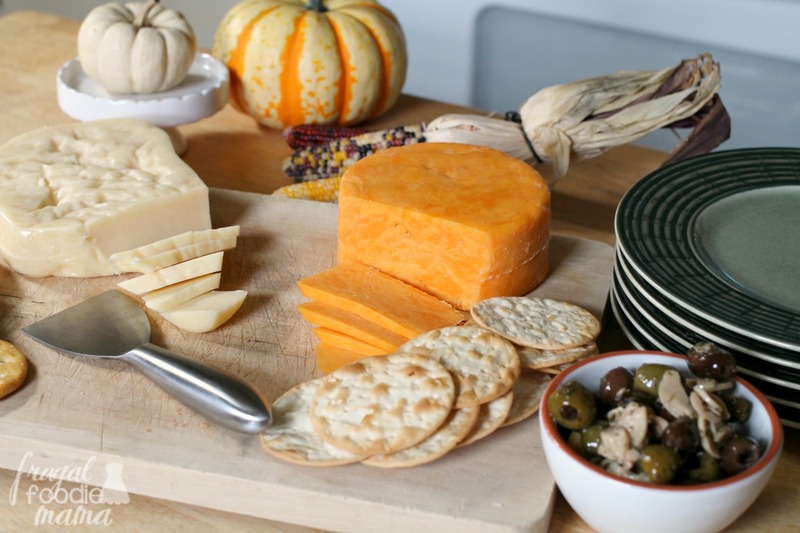 I always love to set out a simple cheese board for dinner guests to nibble on while the main course is baking. I offered my guests two types of cheese with crackers and a bowl of Italian marinated olives. This took me maybe 10 minutes to throw together. 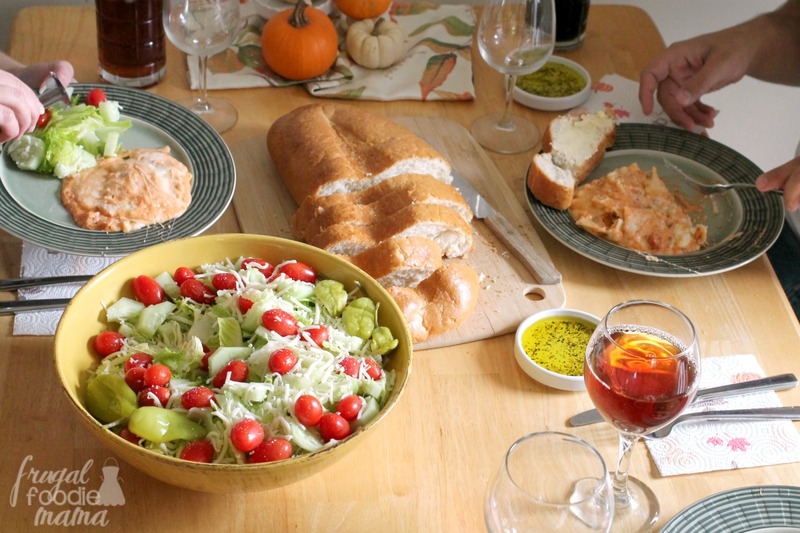 I kept the side dishes for this Tuscan inspired Sunday dinner simple and fresh. 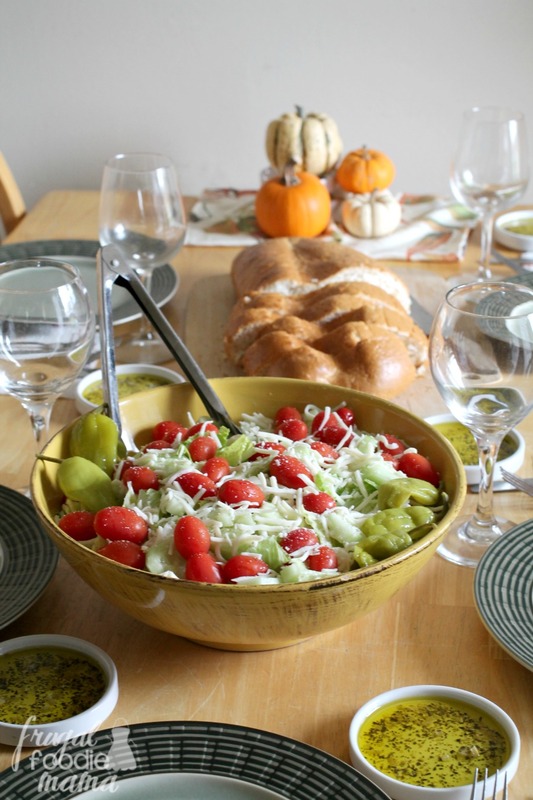 I tossed chopped romaine lettuce with grape tomatoes, cucumber slices, and a little shredded mozzarella cheese. Garnish your salad with a few pepperoncinis for instant Italian creed. ;) I served this salad with an Italian dressing & a blue cheese dressing on the side. 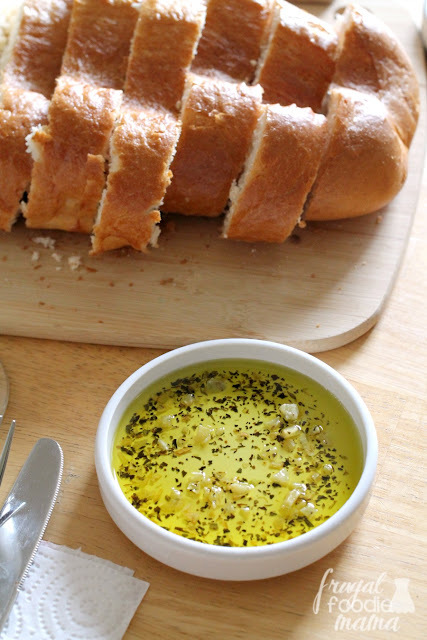 If you really want to wow your Sunday dinner guests, serve fresh baked Italian bread from your grocery store bakery with a simple homemade dipping oil. Saute 3 cloves of minced garlic, 1/2 teaspoon dried basil, and a 1/2 teaspoon dried oregano with a little olive oil for 2-3 minutes. Let cool and then add 1/2- 2/3 cup more of olive oil and give a quick stir. 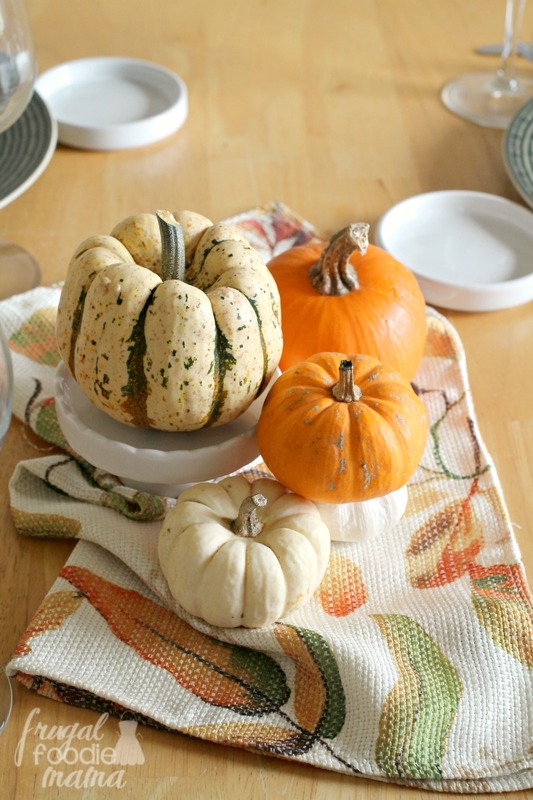 Serve in a small bowl and let guests spoon out oil onto their plates or into smaller ramekins for individual dipping. 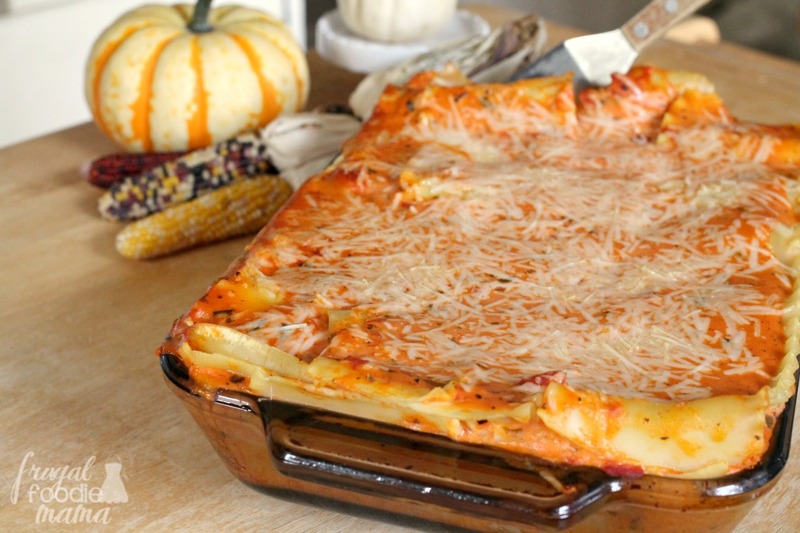 This lasagna turned out so creamy and cheesy! 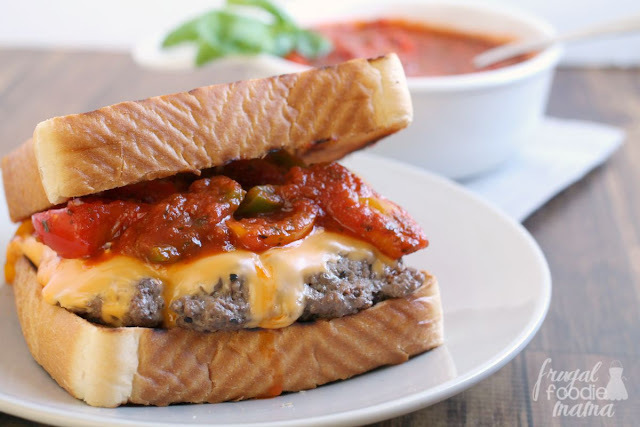 :) And thanks to the Tuscan inspired flavors in the Bertolli Tomato & Basil sauce and the Garlic Alfredo sauce, I was able to serve a delicious, authentically Italian Sunday dinner to my family without being stuck in the kitchen all afternoon. Be sure to snag the recipe for their Luscious Rosa Lasagna by CLICKING HERE. 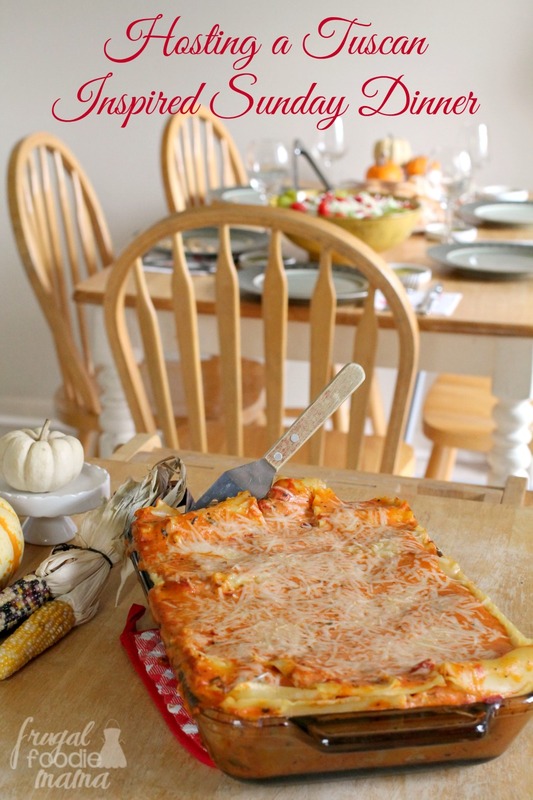 Want to host your own Italian Sunday dinner? 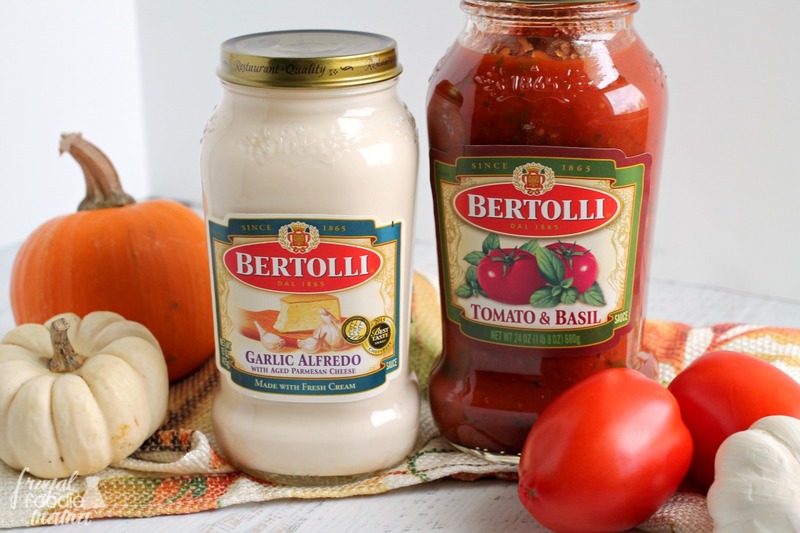 From October 9th to November 5th, you can save on Bertolli pasta sauces at Ahold stores including Stop & Shop, Giant and Martin’s. 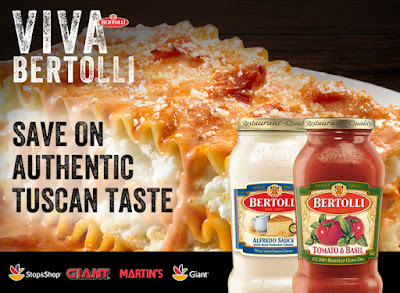 Look for Bertolli in the pasta sauce aisle and on display in the meat department!